You’re going to have to explain it to me. Sure, sure, when it comes to a hot day on the beach nothing’s better than a cooler of drinks. You’ll find me head down, bottom up, clawing through layers of chipped ice, looking for a soda. I used to drink beer, but it just gives me a headache and flabby gut now. Sometimes I run into bottles of home-brewed root beer or sparkling peachy ciders. Heavenly Hoopla. Pop the top on that! ! It doesn’t take a huge effort to make home-sodas. You can start a batch of ginger ale tonight and be drinking it by tomorrow evening. But what in the name of summer holiness is canned tea? Why would anyone want to can the stuff? Every time I run across a 99 cent, 23=ounce tube of canned tea, I scratch my head. For 99 pennies, I can brew up enough tea juice to satisfy a work gang. It’s not rocket science. 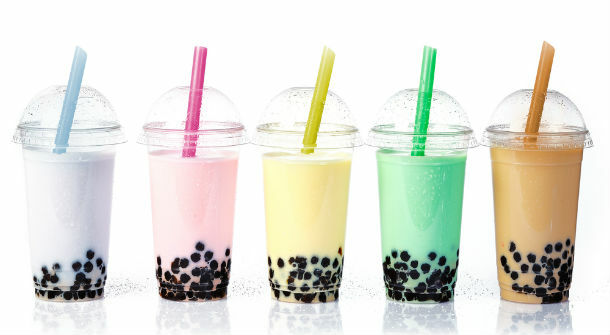 I understand you may have to pay more for novelty gunk thrown into tea like: those chewy boba tapioca balls in bubble tea (which have NO flavor or nutritional value whatsoever). But that’s still only tea, sugar, cream, and tapioca bobas. No mystery there—just chewy lumps in your sugared drink. And yet, I’m still befuddled about canned tea. For example, the Arizona tea company reported a billion bucks in sales last year for their fructose/water/tea mixture. A couple of years ago, the uber-secret recipe was for Coca Cola was published by This American Life who’d found it inadvertently displayed in a graphic accompanying an old ad. Coke denies it. They still maintain the “current” recipe is in the vault and only 2 executives know the formula and those two people can never travel together. You can look at the recipe here. It’s rather tedious. I’d just buy a can instead of going through all the work to denature cocoa leaves. Throw 5-8 bags of tea in a gallon jug of water. Screw the lid on so the bugs, wasps, and muddobbers don’t take a dip. Set in sunshine 3-5 hours (depends on how hot it is. Go by the color). Sorry canned tea companies if I put you out of business. It’s just that some changes (like canned tea) will have to be explained to me. ‘Fess up!! How many of you are tubed-tea-drinkers? This entry was posted in A Laugh, Cooking, Humor, Life and tagged bubble tea, canning, Change, ginger ale, homemade root beer, summer, sun tea, tapioca, Tea. Bookmark the permalink. 29 Responses to A Tube of Tea, please? Younger daughter is a fan of lemon ice tea, or lemonised tea, as I call it. I don’t see the point of that. It reminds me of the absurdity of all the bottled water consumed. I watched the process in a popular little factory. They took tap water, ran it through a purifier, and bottled it. If there was a rush order, they skipped the purifier. Nobody knew the difference. You aren’t alone, girlfriend, but let’s not use the word…lazy. Let’s just say…”other-project-oriented.” I don’t think I’ve had “home-squeezed” lemonade in…..in…..wow…..it may have been the ’70s. My son makes it. Wonderful stuff! I inadvertantly purchased Bubble Tea a couple weeks ago and swear it will be the last time. The tapioca marbles at the bottom of my cup not only cogged up my straw, but added absolutely nothing to the flavor of the tea. I think a person either loves them or hates them. Since I’m sort of a plain-tea purist, I was appalled at the mouth-feel of blobs of tapioca floating in my tea. I used to make sun tea–so glad you reminded me. My taste has deteriorated so I’m perfectly happy dripping a few drops of flavor into a glass of water, added sugar and ice. Yikes! Me, too. I find one of those tiny packages of Crystal Light granules will help me down a water bottle. I don’t know why I don’t drink more water….too many other choices, I guess. Oh dear, I LOVE bubble tea! Green tea with honey and bubbles is my favorite. I play with the tapiocas, rolling them around in my mouth, savoring their pliant, slippery texture, then trapping them between my molars and chomping down. And yes, when we are out and about, and the thirst hits, I relish a bottle of peach Snapple (“made from the finest stuff on earth.”) But the canned tea – ick! It tastes synthetic. My very favorite though, is Black Rock coffee shop’s tea. Earl Grey, with orange syrup. Hot or iced, it’s delicious. Expensive, yes. That just adds to the indulgence. I make it at home for a tenth of the price, But the cheery, chatty kids at BlackRock make it worth the expense. Leave it to you, Roxie to be give job security to those kids working at the coffee shop. I hve to admit orange syrup in teas sounds pretty good, though. I drink a lot of tea at home, so it’s not a biggie to make it. On the road, though, I’ll admit to picking up a premade bottle of tea when we stop to get gas. Better than a can of soda. Okay, okay. I understand a roadie-tea. Thanks for the enlightenment. No tube tea here. I am not even certain it is available. And my mingy self wouldn’t buy it if it was. I really, really resent paying several arms and legs for easily made, cheap beverages. Yes, I wonder how we ever became convinced to pay outrageous prices for common drinks? But we do it. It’s probably one of the best slow-manipulation campaigns ever perpetrated. We must be crazy. (Well, all except you. You’re the only wise one in the bunch.) Good luck on keeping the rest of us sane. I miss sun-tea, as we called it in Florida. I still remember seeing it being brewed, for the first time ever (I was born in NJ) and how stunningly beautiful the big glass jar looked, so amber and gold. Then…the taste! Wonderful. Okay…now wait a minute. No iced tea? Is MiWadi or Red Lemonade served over ice? I’ve never seen anyone drink straight red lemonade. I’ve only seen it added to booze! It’s disgusting, too. I’ve seen people add ice to Lucozade (our Gatorade) in a pub, because then it looks like a pint of cider (which can also have ice). No. NO!!! Tell me the pubs don’t put ice in hard cider. Do you think someone at the Coconut Water Bottling plant is having a big laugh about our gullibility? Okay, Alice. We’re moving you to whiskey. The puns may not get better, but you won’t care. This is easy. I’m a coffee drinker. No tea, canned or otherwise for me. However, I can’t explain why I pay $5 at Starbucks when I can brew it at home cheaper. Even using a Keurig it’s only 50 cents. Maybe it’s the atmosphere I’m paying for and the opportunity to get blog material. It’s a splurge, isn’t it? I tell myself…”Oh…Barb…you’ve had a bad day. You deserve a little treat. Surely that Starbucks drink has fewer calories than a chocolate milkshake? You go and get one of those drinks and pamper yourself. Besides….it’s a really convenient place to meet people. But still…spending the bucks is really illogical. I never said I was logical. Fantastic post, Barb. Bubble tea => odd. Not a fan. Chew Chew. BFF drinks lots of iced tea. Home-brewed. By us. In half-gallon containers. For pennies a serving. When we go out, we take home-brewed iced tea with us. In a cooler. On ice. That’s nice. No . . . but we don’t eat out often. I meant that we brought drinks if we’re running errands so we don’t have to pay big bucks just to quench our thirst.